FC Halifax Town have signed forward Adam Morgan from Curzon Ashton on an 18-month contract. 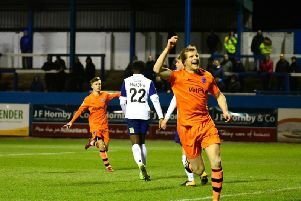 The 22-year-old started his career at Liverpool’s academy and scored nine goals for Curzon this season, including two in their 4-2 win over Halifax. He also scored a hat-trick against AFC Wimbledon in the FA Cup.